Outdoor, sportswear & goods rental. Hoshino Resort OMO 7 New Store in iGATE IKEUCHI opened in Asahikawa! 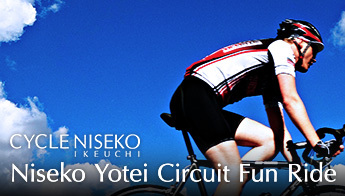 "IKEUCHI EXIT" is newly added, we deal with rental of specialty items indispensable for outdoor activities. In summer you can enjoy bicycle and mountain climbing equipment, winter high-spec ski / snowboard rental, you can enjoy the rich nature rich in Asahikawa. In addition, iGATE IKEUCHI sells outdoor wear, goods, sportswear, etc. according to the season. We are waiting for guests' arrival with a wide range of needs and a selection of items tailored to your budget. In the summer we handle bicycle and climbing equipment rental. Asahi River will be able to enjoy cycling even for the first time as we are also informed of the original course that pleasures the city of Asahikawa. In winter, ski / snowboard rental is handled. With high-spec skis and snowboarding carefully maintained, everyone can enjoy the slopes of Asahikawa comfortably.